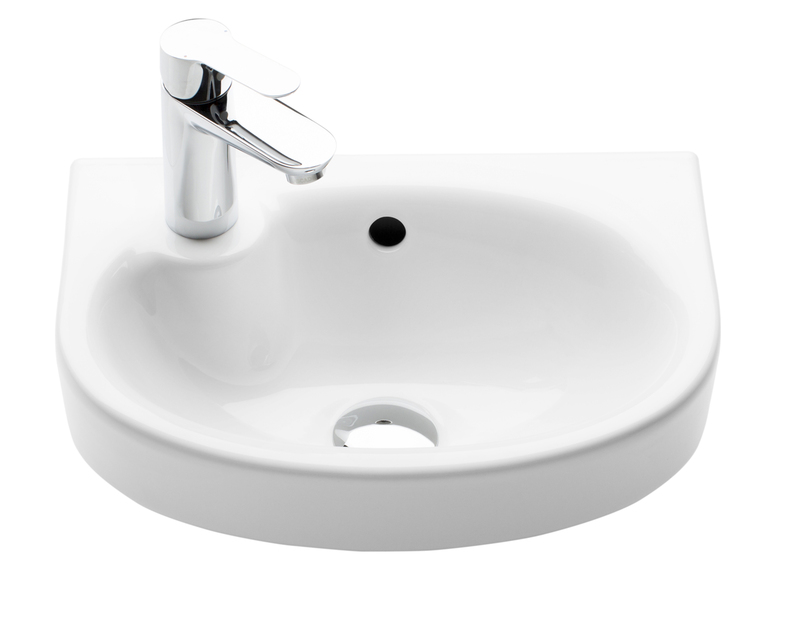 IDO Glow washbasin 400 mm in round design. Tap hole to right or to the left. Bolt mounted. With IDO Smart glaze for even easier cleaning.